Meet Angela Squadrito. She’s a jack of all trades kind of gal here at Liberty Tabletop and Sherrill Manufacturing. Angela’s role in the factory range’s from running buffing machines, inspecting flatware, to building flatware sets and shipping flatware. 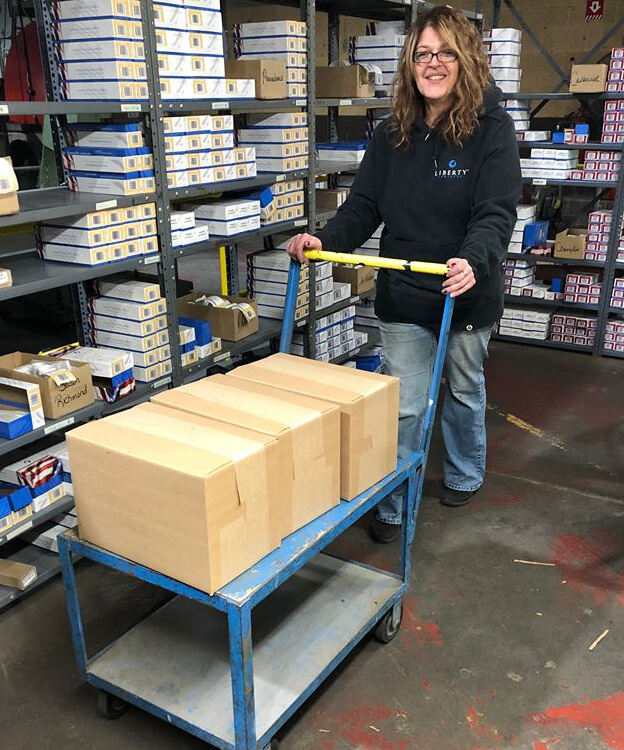 Leading up to the holiday months, we are always in need of an extra set of hands in the shipping department, and this past season Angela jumped right into the swing of things to help. 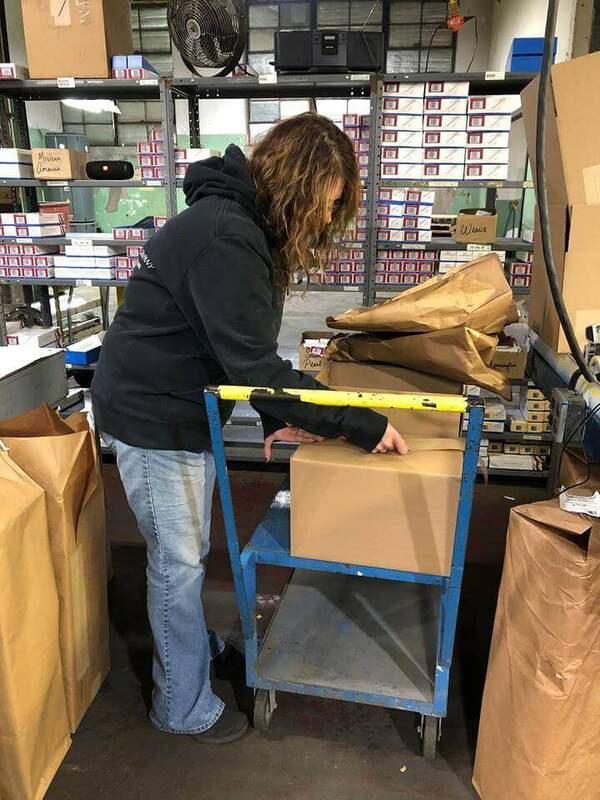 Angela packing up boxes in the Sherrill Manufacturing shipping department. Angela started working at Liberty Tabletop in 2018, but she’s no stranger to the flatware industry as she previously worked for Oneida Limited for eight years. In 1997, Angela decided to take some time off to raise her two daughters, Alexandra and Cassandra. Now she’s here working in the flatware manufacturing industry once again and she hopes to grow within the company. Recently, Sherrill Manufacturing has offered it’s employees the chance to sharpen their skill sets and learn new ones through apprenticeship training programs offered by MACNY (Manufacturers Association of Central New York). The program offers employees several courses to choose from to sharpen a skill set or learn a new trade. Angela says she is very interested in the program and has decided to pursue electrician classes, something that would be a win-win for her. Many people head to work every day dreading their job but, this is not the case for Angela. She says she likes coming to work. She says it’s the environment that she most enjoys about her job.